The Rivergreenway is the backbone of the Fort Wayne Area Trail network. The trails that make up the Rivergreenway include the St. Joseph Pathway, St. Joe Blvd Pathway, St. Marys Pathway and Maumee Pathway. Location: Fort Wayne and New Haven, Throughout metro Fort Wayne, riverside paths along Maumee, St. Joseph and St, Mary’s Rivers. There are many access points. Key parks where you can access the Rivergreenway include: Johnny Appleseed Park, Lawton Park, Foster Park, Tillman Park, Bloomingdale Park, Rockhill Park and Kreager Park. In New Haven, Moser Park is the best access point. The River Greenway in Allen County IN. 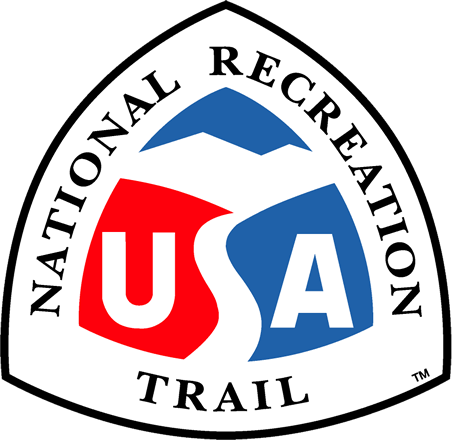 has over 100 miles of paved bike paths, at least 23 miles of which are designated as a National Recreation Trail. The Rivergreenway is a linear park within the cities of Fort Wayne and New Haven in Allen County, Indiana and boasts over 100 miles of trail. The trail is located along the banks of the St. Marys, st. Joseph, and Maumee Rivers. Historically, these rivers were utilized as an important hub for trade and transportation for both Native Americans and early settlers. Located along the Rivergreenway, the Historic Old Fort provides visitors with a representation of life in the untamed "west." This green corridor provides an opportunity for recreation, fitness, alternative transportation and conservation in a natural setting while still being close to everything. A 3-mile extension of the Rivergreenway is planned along the St. Joseph River to Shoaff Park and will be constructed in 2009 and 2010. In the near future, this trail network will also be connected with trails built in southwest Allen County, via the old Wabash and Erie Canal, called the Towpath Trail, providing recreation enthusiasts with a 40-mile east/west corridor across Allen County. Additional plans include the Six Mile Creek Trail which will create a 26-mile loop within the Rivergreenway network of both Fort Wayne and New Haven. 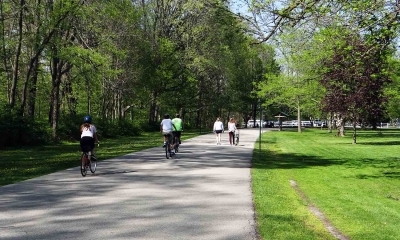 The continued development of the Rivergreenway network and many additional trails within Allen County, Indiana, have been made possible through the grassroots efforts of three greenway advocacy groups - the Greenway Consortium, Aboite New Trails and Northwest Allen Trails. These three groups have partnered with the cities of Fort Wayne and New Haven and Allen County to plan and develop a safe, interconnected, multi-use trails network.